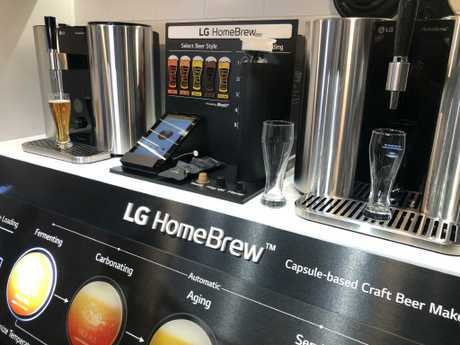 ELECTRONICS giant LG has made an unlikely venture into the beer market with what it says is a world-first capsule beer brewing device for the home. You'll be familiar with machines that turn little capsules into cups of coffee, but can a device do the same for a schooner of beer? The answer is yes, kind of. While the premise is the same as the popular capsule coffee machines that will be familiar to most people, it's of course a little different. This is far from instant - after all, it's beer. The machines needs time to carry out the process of fermentation and carbonation in order to - theoretically - produce something that resemble what you'd get from a keg down at your local pub. LG has made an unlikely venture into the home beer market. It takes two weeks to brew a batch of beer once you've thrown in the capsule ingredients, which is far quicker than your typical home brewing kit. There's a big tube-shaped malt capsule on the left and three tiny Nespresso-shaped capsules in the top where you put packets of yeast, hop oil and flavouring. In terms of choice, you've got an American IPA, an American Pale Ale, an English Stout, and a Belgian-style Witbier and Czech Pilsner. It takes two weeks to brew your beer once you've started the process. At the end, you get 5 litres of beer - or about 12 schooners. At that point, you will then need to buy new capsules and start the process over again. LG unveiled the machine at CES this week but sadly there was no taste testing available because this is still largely a prototype. While on display, the machine wasn't powered on. In practice the device chills the beer and would require a constant power source so it would add to your power bills. It's a pretty large machine, so you would need some space at home to fit it and probably wouldn't fit too well in a small apartment. Like everything coming to market these days, it's a "smart" device so users can connect it to an app and check the status of their brew. What's most promising is the fact that LG says it is self cleaning. You just need to dump some water in and it flushes the machine out a hot wash.
During LG's press conference yesterday, there was really only two products that generated loud excitement from the crowd. One was the company's truly innovative rollable OLED TV, the other was this strange new home beer brewer. 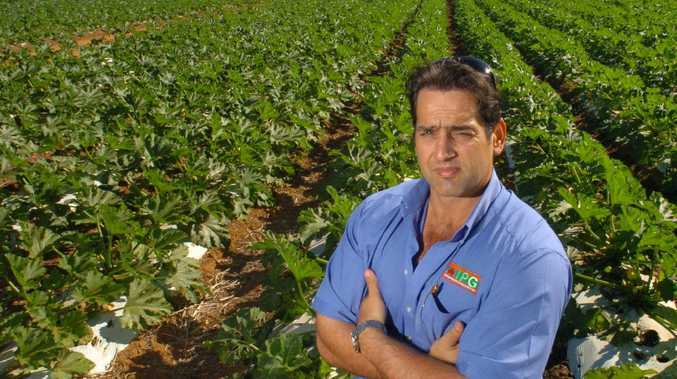 But the question remains whether beer-drinking Australians would get excited about such a thing. LG has been talking to Aussie retailers but it's unclear if the contraption will ever make it to our shores. 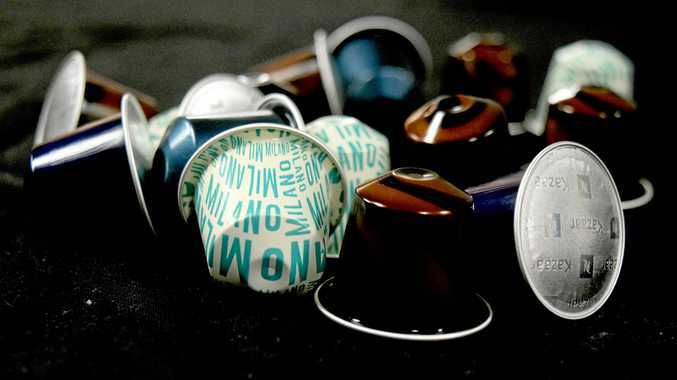 After all, do Australians want to drink beer brewed from capsules in their home? I don't know.